The brown, 25' L-4E6S Star Quad XLRM to XLRF Microphone Cable from Canare is especially designed for handheld microphone applications in live sound, rehearsals and other situations. In addition to mic-level signals, the cable can also be used to carry line-level signals such as for connecting your mixer to power amps. 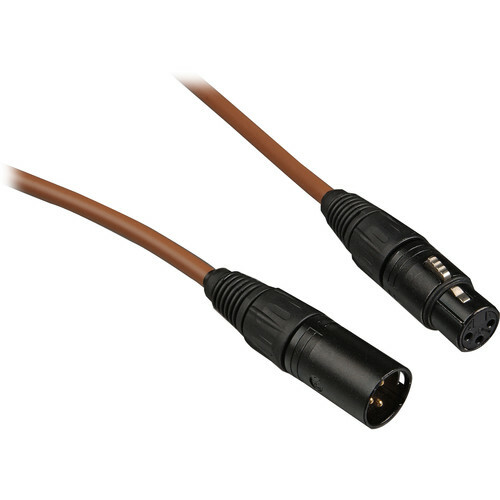 Box Dimensions (LxWxH) 10.0 x 9.0 x 2.5"
L-4E6S Star Quad XLRM to XLRF Microphone Cable - 25' (Brown) is rated 4.7 out of 5 by 52.